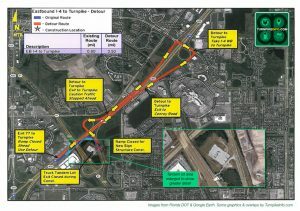 Editor's note: The writer of the weekly gas updates, Danny Pryor, is currently traveling with an Internet and domain conference in Las Vegas. Therefore, this week's report will be greatly abbreviated. Normal reporting will resume next week. The cost of driving was pretty much the same this week as last, according to the latest fuel price survey from the U.S. Energy Information Administration. The cost of a gallon of gas held steady at $3.67 per gallon, but the price of fuel did increase several cents per gallon, particularly in Midwest, where price volatility is common. For drivers in individual states, the weekly report conveyed good news or exceptionally bad news. 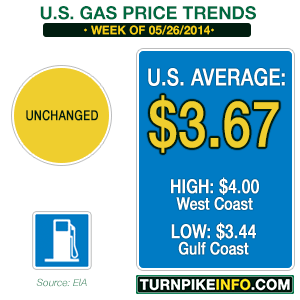 In California, long beset by prices well above the $4.00 per gallon mark, this week marked another of price declines. The cost of a gas slipped downward by over 2¢ per gallon, bringing the average price of fuel in the Golden State down to about $4.16. Halfway across the country, in Ohio, the average gas price jumped by 11¢ per gallon, all but erasing a substantial price decline that was enjoyed in the Buckeye State earlier this month. 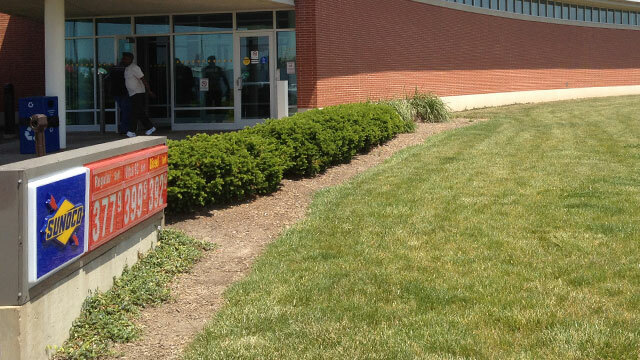 It was Ohio that largely contributed to the Midwest region’s average price increases. 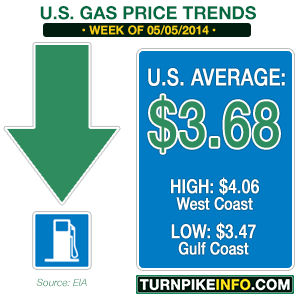 Region by region, the price of gas varies considerably, as it usually does. The national average price of a gallon of regular unleaded remained largely unchanged during the past week, according to the latest survey from the U.S. Energy Information Administration. The cost of gasoline across the contiguous 48 states remained $3.66 per gallon. Regional gas prices in the Midwest and on the East Coast moved upward and downward between 1¢ and 3¢ per gallon, while most other regions experienced hardly a change in the cost of fuel at the retail level. Some states helped drag their regional price averages upward or downward. For instance, Minnesotans experienced an overall 3¢ per gallon price increase, contributing to a nearly 2¢ gas price lurch across the broader Midwest region. In the Lower Atlantic states, Florida gas prices did the opposite of Minnesota’s price trend, falling by about 3¢. That helped the Lower Atlantic gas prices dip by about 2¢ per gallon. The good news for drivers is that the months-long trend of increasing gas prices has taken a breather, giving Americans a much-needed break from unrelenting fuel price hikes that have threatened to push gas prices near the $4.00 per gallon mark. 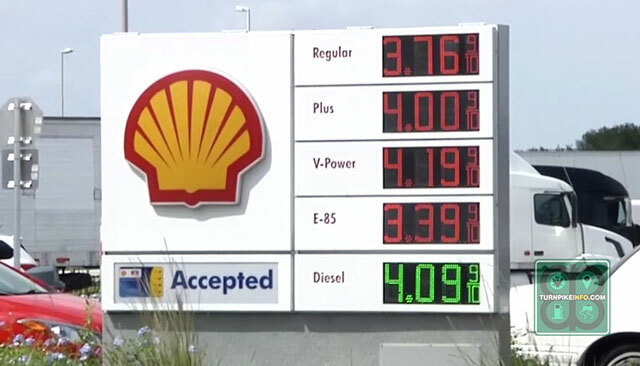 That dubious pricing benchmark has already experienced in places, particularly California, where the average price of a gallon of gas is $4.16, according to the E.I.A. survey. Hawaii gas prices are also significantly higher than of $4.00 per gallon, largely due to the logistics of getting fuel to the island state. GasBuddy.com is showing at least two other states that are within striking range of the $4.00 price level, that is those that are 10¢ or less from hitting that psychological price target. 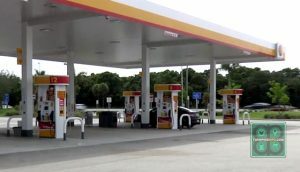 Taken at the city level, New York and Chicago are just pennies from having a $4.00 price for regular unleaded, according to GasBuddy.com, where consumers report fuel prices. However, each of those cities has already witnessed that price point this year, according to the E.I.A. The current reprieve in noticeable gas price hikes has been due to a number of factors, most notably the final conversion from winter blend to summer blended fuels. The other factor is, of course, the price of crude oil, which drags wholesale gas rates with it. That, in turn, affects retail prices. Drivers have experienced a reprieve in the constant gas price hikes, but that may not last long as crude oil once again moves higher. 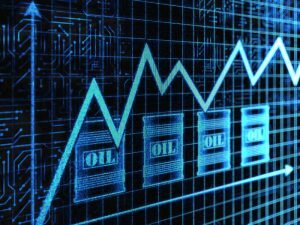 Crude prices had declined somewhat during the last half of April, but investors have been trading futures upward once more. For a short time, from April 30 to May 6, the price of West Texas Intermediate, the domestic crude benchmark, had actually traded under $100 per barrel. Since May 7, however, prices have continued an uneven climb over the $100/bbl level. WTI futures were trading around $102.62 /bbl in after-hours trading Monday night, just before 11 p.m., according to charts at CNBC.com and at Bloomberg.com. Trading charts have a lag time of about 20 minutes. Bloomberg was reporting Monday investors are concerned about dwindling stockpiles of crude oil reaching and emerging from a key facility at Cushing, Oklahoma, where a significant portion of the nation’s crude oil transits. Supplies at Cushing have been falling since the end of January, according to E.I.A. chart data, except for a minor bump in supply at the start of April. Supply levels are now at their lowest since the first week of December 2008. Bloomberg reports that investors are concerned the dwindling Cushing supply could bring down the current supply levels across the rest of the country, which would lead to higher costs. “Falling Cushing stockpiles is giving a general upward push in oil, and if they continue to drop prices will be further supported,” said Will Yun, a commodities analyst at Hyundai Futures Co. in Seoul, South Korea. He spoke to Bloomberg reporters by phone Monday. In short, that means the current price level of WTI will be sustained, at the very least, and prices could perhaps go higher.